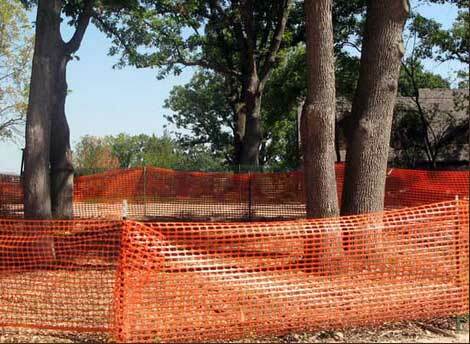 Often, land developers pay no attention to protecting trees during construction projects. Most of the damage done to trees during construction occurs to their root systems. It is common for trees to survive during the project, but to then deteriorate and eventually decline after the job is completed. To protect your trees throughout the duration of construction, our ISA Certified Arborists can consult with commercial developers or property owner to create site-specific plans to protect your green assets! Involving a Certified Arborist during the planning stages of any project is crucial for a positive experience. Capitol Tree Care is ready to develop a plan to protect your trees and limit their exposure to adverse conditions. By hiring us during the planning stages of your construction project, you will have the best Construction Protection in Texas.